Windjammer Archives · Stop the Cap! Although the days of frenzied buying and selling of cable systems is behind us, smaller cable operators are still in the market for system swaps and buyouts. 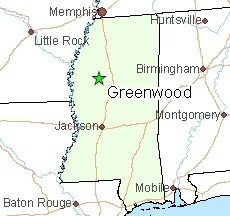 Some 8,200 Windjammer Cable customers in Greenwood, Miss. and surrounding areas are about to become Suddenlink customers. For many residents in Greenwood, located north of Jackson, this will be their third cable provider in two years. Originally owned by Adelphia, Greenwood’s cable system was acquired in 2008 by Time Warner Cable as part of a bankruptcy sale of Adelphia’s cable properties. Time Warner Cable ponied up an estimated average $3,500 per subscriber to purchase Adelphia’s cable systems, even though many were badly in need of upgrades. Time Warner merged many Adelphia systems in larger communities into its own operations, but sold most of the smaller, more rural systems deemed strategically unimportant to the company. In total, more than 125 cable systems in 25 different states, many serving just a few hundred subscribers each, were dumped overboard at a loss of $45 million by Time Warner. Greenwood, like 124 other communities, would now receive cable service from a company nobody ever heard of before — Windjammer Cable. Windjammer was created in 2008 to handle the 80,000 Adelphia customers Time Warner cast-off. Owned by private equity firm MAST Capital Management, Windjammer is run by Jupiter, Fla.-based small cable operator Communications Construction Services, which is mostly known for providing cable service to more than 200 military bases across the country. For Greenwood customers, the welcome letter from Time Warner Cable ended their cable relationship with Adelphia. But it was a relationship never destined to last. Welcome to the Windjammer Cable family! We have recently acquired the former Time Warner Cable system in this area, and are proud to be your new cable services provider. We’re more than just a cable company. Windjammer Cable brings a whole world of entertainment and communications to the place it matters most…your home. As a way to make the transition easy from one cable company to another, you will see very little change in how you receive your cable and communications services. We will be updating your High Speed Internet, Digital Phone, and E-mail services beginning in the early morning of January 12, 2009. This conversion may take up to 10 days. We will only be working on your service between 1:00 am – 6:00 am local time. During this time, you may experience slight service interruptions, so please be patient. To those of you who currently use the Time Warner Road Runner email service, there will be changes to your email account. Please visit our new website where you will find information about setting up a new Windjammer email account. We encourage you to do this as soon as possible. Your existing Road Runner email account will continue to work the same for at least the next two months. If you do not use the Time Warner Road Runner email service, but use another service, like Gmail, you will not need to make any changes. If you are a Time Warner Digital Phone customer, you should not notice any significant changes to your phone services. If you use the voice mail service, you will have to re-record your message. Instructions for doing this can also be found on our website. Our customer service representatives are available 24 hours a day to answer any questions you may have about the transition. Consider us your new friend and neighbor, and know that we are only a phone call away. We look forward to serving all your cable and communication needs! Now, one year and some months later, customers can prepare for their next welcome letter from Suddenlink. What Suddenlink paid to acquire the Windjammer system has not been disclosed. Suddenlink has experience providing service in Mississippi — its nearest system is in Greenville, about 50 miles west of Greenwood. Suddenlink is the nation’s seventh-largest cable operator, with customers primarily located in Arkansas, Louisiana, North Carolina, Oklahoma, Texas and West Virginia.